“When a pet enters the room of one of our patients, you can see they have an uplifted spirit and lessened depression and anxiety,” says Michael Tonietti, Activities Director at Kindred Nursing and Rehabilitation Center – Smith County in Carthage, Tenn., about the center’s animal therapy program. 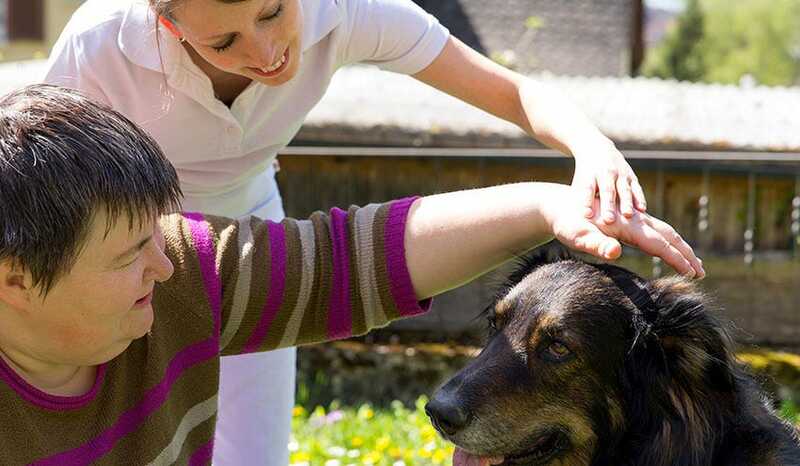 Animal-assisted therapy (AAT) is a rapidly growing trend in the healthcare industry, and for good reason. Numerous studies have shown that animal therapy has positive physical and mental affects, not just on patients, but on their family members and caregivers as well. According to the Mayo Clinic, AAT is used on a wide range of healthcare patients, from people undergoing cancer treatments, to veterans with post-traumatic stress disorder, to children having dental procedures. Amongst children particularly, research has positively associated pet dogs with healthy weight, mental health and social abilities. And as for seniors, research has shown that those who own a dog have lower blood pressure and cholesterol levels than those who don’t. Interactions with animals have been clinically proven to release endorphins and significantly reduce ailments such as pain, anxiety, depression and fatigue. Qualifying animals are specially trained and certified as therapy pets, so that they are able to interact with patients appropriately based on their treatment needs, which can be as simple as sitting in the patient's lap and being petted by them. While dogs are most commonly used, Kindred-Smith County has introduced ponies and birds into its program as well. The center even has a bird atrium that patients can peruse whenever they want. According to the American Humane Association, AAT is a successful service that is sure to keep growing in popularity and acceptance in mainstream healthcare. It is a simple treatment, not based around medical science and research, but around basic human-animal interaction and connection. And its benefits are monumental.